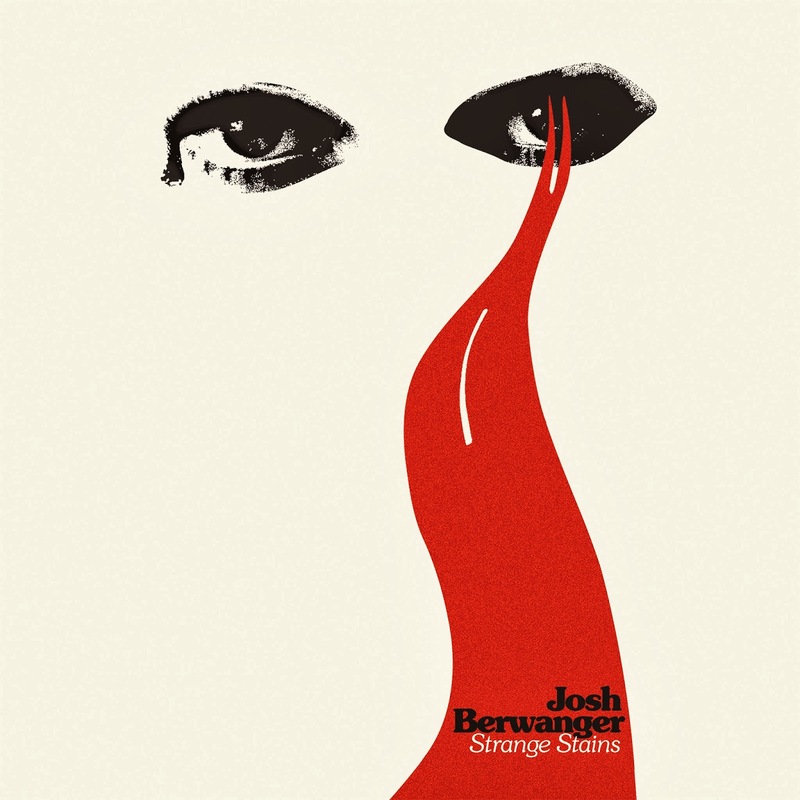 Atlas and the Anchor: Josh Berwanger - "Strange Stains"
Josh Berwanger formerly of early-2000’s indie rock legends, The Anniversary and The Only Children, returns after a lengthy hiatus – he coached a high school girls’ basketball team! – with his excellent new album, Strange Stains, out now via Good Land Records. Assisted by his old musical confidant, Michael Hutcherson and featuring guest drumming from Jim Macpherson of The Breeders and vocals throughout from Heidi Gluck of The Only Children; Berwanger creates a gimmick-free brand of folk and classic rock-inspired indie rock with a super-melodic, power-pop sensibility. “Bullets Of Change” opens the album with infectious handclaps and a breakdown with chanting vocals and a squiggly guitar solo. “Enemies” follows with a twitchy yet propulsive rhythm and a sing-along chorus. The first single, “Baby Loses Her Mind” stands out with bright, jangly guitars, more handclaps and an old school rock n’ roll swagger. Another standout, “Time Traveler” recalls the psych-leaning classic rock-ness of The Anniversary’s final masterpiece, Your Majesty, complete with female background vocals. “Gypsy Girl and the Tombs of Atuan” features strummy acoustic guitars, a stomping beat and a flickering, 80’s metal-like guitar solo. “Mary”, with its quick-strummed guitar rhythm, stomp-and-clap beat and spacey synths provides yet another standout moment. Next, “I Can Feel The Moon” pollenates swaying doo-wop vocals melodies with psychedelic 60’s pop and sets it all to a hip-swiveling rhythm and the chugging, back-roads country and southern 70’s rock of “All Night Long” keeps pace. The aptly-titled “Spirit World” creates a trippy atmosphere with pounding, reverb-rich drums, horns, synths and melodic guitar runs for the album’s most experimental moment. The eleven-track album closes out with the starry-eyed 50’s rock of the catchy cover of “Sweet Little Girl” by 90's K.C. punk band The Breakups and the cascading Byrds-like guitars and bittersweet melodies of “Everybody Knows”. Fans of Berwanger’s previous bands will feel a heavy nostalgic pull since his new album Strange Stains starts off where he left off but with his distinct voice and songwriting style, he takes his sound in new directions that feels both timeless and modern for a welcome return.